Wavy and immersive, Belau’s intoxicating “Breath” ft. Sophie Lindinger brings us on a hypnotic, irresistible journey of self-identity and self-discovery. We would like to take our listeners to cheerful places, filled with sunshine, where one can relax, unwind and find peace and harmony. Take the hypnotic vibes of Glass Animals and douse them with surreal intimacy, and you’ll get Belau’s intoxicating new single “Breath” featuring Sophie Lindinger. Wavy and immersive, “Breath” brings us on an irresistible journey of self-identity and self-discovery. for in your life so let us dive. Self-described as an “electronica duo with seaside mood,” Hungarian group Belau make chillwave music for the next generation. Last year, they won the Hungarian Grammy for best electronic music album with their 2016 debut full-length album, The Odyssey. Over the past two years, they claim over 120 live performances in 19 countries – a level of activity they boast with pride. 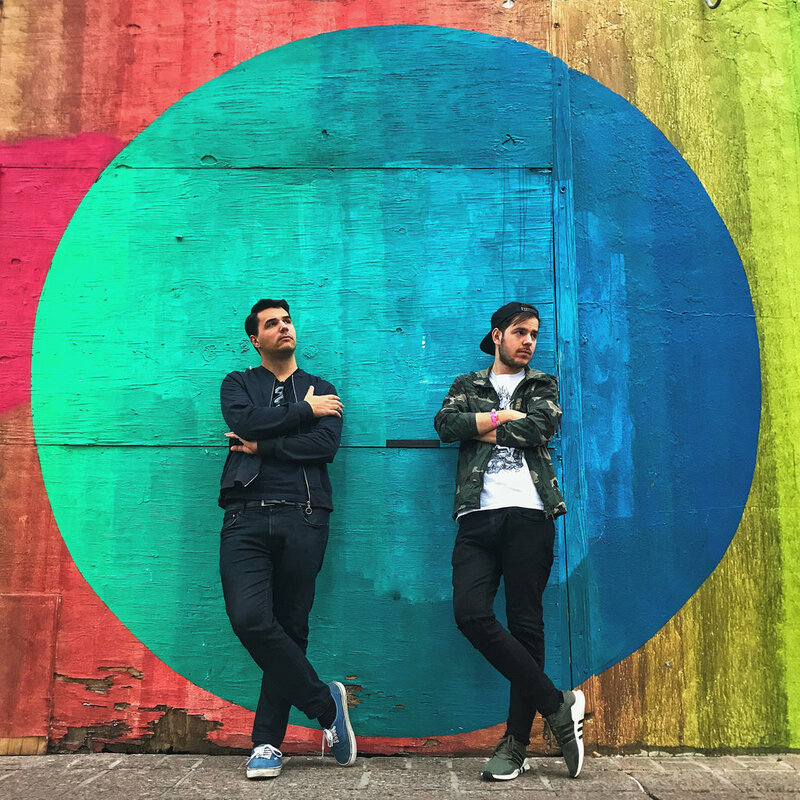 The duo of Peter Kedves and Krisztián Buzás introduced themselves in 2015, quickly rising to prominence at home and abroad for their finessed sounds and ear for pop/electronic fusions. Their first single, “Island of Promise” featuring Dóra Hegyi, remains a refreshing burst of light and feel-good warmth – but more importantly, it established a precedent for Belau which they have continued to adhere to throughout their three-year tenure: They only work with female vocalists. This rule has not only resulted in Belau carrying a unique and distinct sound, but also it has allowed other artists to shine. Belau’s latest collaboration highlights the supremely talented Sophie Lindinger, of Austrian electropop duo Leyya. Their critically-acclaimed sophomore album Sauna released in January 2018 via +1 Records. In addition to touring throughout Europe this month and next, Leyya boast an impressive 190,000 monthly listeners on Spotify. Lindinger’s intimate, smooth vocals bring “Breath” to life with stunning grace. She perfectly capture’s the song’s inner search, singing passionately in the chorus, “And I hold my breath just to feel what’s inside my body… I talk to myself to tell me that I’m free from all that.” One can’t help feel the chills shooting down the spine as Lindinger whispers her words sweetly into our ears. As evoked in Belau’s Attila Damokos-directed music video, “Breath” is tranquil and troubled – a beautiful depiction of inner dissonance and the long road to balance. Barabás Henriett plays the lead character; we watch her move in-between reality and a dream-state, sinking in and out of various realms in search of truth, understanding, meaning, and purpose. Worlds collide as Belau and Sophie Lindinger rise on beds of atmospheric ambience and pulsing tropical rhythms. “Breath” is the mesmerizing next step in Belau’s evolution, a musical and intellectual journey well worth our time and consideration. Close your eyes, inhale deeply, and soak in Belau’s “Breath.” Stream the song now, and get to know Hungary’s next all-star duo as Belau discuss their music and inspirations in our interview below! just can’t keep our bodies blinded. what to change to move on! Atwood Magazine: What was the inspiration behind “Breath”? Belau: Belau were inspired by our travels and adventures abroad. The message of us is simple: leave the busyness and monotony of everyday life behind, get rid of our barriers, and experience every moment to its fullest. We would like to take our listeners to cheerful places, filled with sunshine, where one can relax, unwind and find peace and harmony. The music starts you on an inner journey which is a gift in our world of increasing isolation. How did Belau begin crafting this song, and when did you feel it start to come together? Belau: Our concept is that we only work with female vocalists. “Breath” was the part of this process. Our debut album, The Odyssey-era, has been featured six different girls, and our next album we want to continue this tradition. We were the ones who initiated the collaboration. Noticing that Leyya is a great upcoming act with a lot of possibilities was obvious, also that one of the reasons for this was Sophie’s voice. So we contacted her, she liked the instrumental instantly and we did not have to wait too much for her to write her part and send us back. Although we did not meet during the recording session, we had a chance to play together in Austin, Texas at SXSW. Sophie Lindinger's voice is absolutely perfect for “Breath.” She gets the emotion and delivers a truly stunning performance. What was the experience like with her, and what was it that made her right for this song? Belau: Sophie is a unique talent with an extraordinary voice. The fact that she accepted to feature on our new album is our honour. LEYYA, the band she sings for, is a great Austrian act. The work came together very instantly – although, we did not meet during the recording session. We had to wait to finally meet personally at SXSW in Austin, TX where both of us played. How does the music video relate to this song? What does it add to the experience? Belau: The song is a picture painted by our inner-self; a journey to the inside where we are able to see the truth between the never-ending struggles to finally find peace. The music video tries to underline this with the woman who is escaping the reality – and then she finally slips into the coveted state where we are all heading to. The music video was made by a friend of us, Attila Damokos. Of the music Belau has made so far, what are your favorites, what are somehighlights listeners should definitely check out, and what are you looking forward to moving forward? Belau: We would like to release some single until spring, when our second LP will hopefully out, and ofcourse continue our EU tour. On 3rd of December we will play in London, St. Paul’s Church, Covent Garden, with unique visuals and classical artists (piano, dulcimer, violin) it will be a really special concert and also a milestone for us!